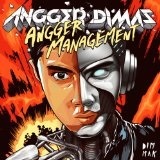 Angger Dimas signed with Australia record label Vicious Recordings in early 2009. His debut release “Duck Army” was played by Tocadisco, Joachim Garraud and Laidback Luke and others. Dimas then collaborated with Vandalism (band) and earned international support on their release “She Got It” which was included on the Ministry of Sound Australia Annual 2010 CD and played by Sebastian Ingrosso as his opening track at the “Sensation” New Year's Eve event in Melbourne.